Owner Frank Formica of Formica Bros. Baking in Atlantic City. ATLANTIC CITY — Formica Bros., the century-old baker of the bread that supplies many of the Jersey Shore’s classic sandwich shops, including the White House Sub Shop, has filed for bankruptcy. 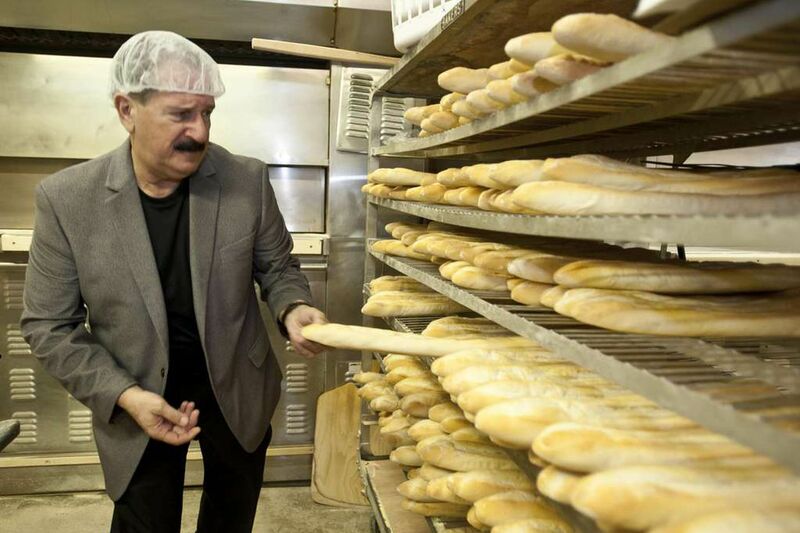 But the company whose bread has defined the taste of a cheesesteak or Italian sub down the Shore will continue operations, said Frank Formica, a third-generation baker. An emotional Formica said Monday that he would no longer be an owner of the bakery, founded by his grandfather and great-uncle in 1919, that is a staple on Arctic Avenue in the city’s Ducktown neighborhood. Two workplace accidents, including one involving a worker whose arm was amputated, led to lawsuits that forced him to declare bankruptcy, Formica said. The second incident resulted in a worker’s fingers being crushed, he said. Formica (pronounced For-MEE-ca) said that 67 of the company’s 71 employees would be retained and that the business would continue to supply 280 shops with the company’s famous sub rolls, including White House in Atlantic City, Sack-O-Subs, Sugar Hill, and even Congress Hall in Cape May. Several other well-known Atlantic City businesses, including Tony’s Baltimore Grill and James Candy Co., maker of Fralinger’s Salt Water Taffy, have declared bankruptcy in recent years. He said worker’s compensation claims stemming from the two accidents were settled. But additional lawsuits were then filed in court that go beyond worker’s comp, he said, and would not have been covered by the business’ $10 million insurance policy. Beyond that, he said, Atlantic City has become a tough place to do business. “You’re constantly trying to make things better in Atlantic City, but our market here is still suffering,” Formica said. Formica Bros. bakery on Arctic Avenue in Atlantic City, filed for bankruptcy. He said the Chapter 7 declaration, filed April 5 in U.S. Bankruptcy Court in Camden, listed the company’s assets of $675,416 and its liabilities at $5,740,436. He said it was the only way to preserve the business against a potential judgment from the lawsuits, which sought $5 million apiece. In one case, Francis Carpinelli of Galloway suffered “horrific and catastrophic” injuries to his right hand from contact with a bread-making machine. In the other, Dianna Trujillo had her right arm amputated after an injury from a mobile conveyor that the lawsuit says lacked protections including a guard for its chain. Robert Zimmerman, attorney for Carpinelli, declined to comment Monday on the bankruptcy filing. A lawyer for Trujillo could not be reached. Under the proposed Chapter 7 liquidation and reorganization, the assets of the company, which bakes bread, rolls, cannolis, and Tomato Pie daily, have been leased to a separately owned entity, Formica said, that will trade as Formica’s Bakery. Pat McKenna, owner of A Taste of Italy, an Egg Harbor City-based manufacturer of Italian foods, will take over the leases, he said. A related company, Baker Boys LLC, also declared bankruptcy. An Italian sub at the White House Sub Shop in Atlantic City. Formica was a Republican candidate for the Assembly but withdrew his candidacy earlier this year. He said the two accidents at the business were used against him politically. He said that he will continue as a consultant for the business and that his daughter will still work there. But the end of a family tradition clearly stung Formica. Atlantic City’s sub rolls and bread have long been praised. Some attribute their quality to the water from reservoirs located just outside the city limits. “In 1919, Formica Bros. was Francesco and Santo Formica,” Formica said. “That was my grandfather and his brother. After World War II, Formica Bros. was my father, Mario, and my uncle Frank. He worked there until he was 89.